Rwanda is among the world’s poorest countries and has been recovering from the 1994 genocide in which about 800,000 people, mostly of the Tutsi minority, were killed. Over the past two decades, Rwanda has introduced universal health care, and life expectancy has greatly improved. The country continues to modernize. With a growing economy, however, Rwanda is also facing Western health problems brought on by sedentary lifestyles and poor food choices, including a new epidemic of diabetes. “Instead of spending money on sugar, people should spend on fruit and vegetables, something healthy,” says J. Damascene Kabakambira, M.D., second fellow of the Rwandan Health Program funded by NIMHD and supported by the National Institute of Diabetes and Digestive and Kidney Diseases (NIDDK). The Rwandan Ministry of Health supports the NIMHD-NIDDK-Rwandan Health Program, which started in 2016 as a way to build an NIH-trained research workforce to Rwanda. The fellows are physicians; after a year at NIH, they return home as clinician scientists, ready to carry out research that will improve the health of their fellow Rwandans. The first fellow of the NIMHD-NIDDK-Rwandan Health Program came to NIH in 2016. Jean Nepo Utumatwishima, M.D., was a leader in HIV/AIDS prevention before the fellowship. During the fellowship, he focused his efforts on diabetes prevention in Rwandans. Now he is back in Rwanda, where he is head of a hospital and, as part of a steering committee that was set up in collaboration with NIH, is helping to create a Rwandan diabetes registry. A diabetes registry contains data on people with diabetes and is used to track the course of their disease and treatment. Having a registry lets the Ministry of Health know how many people have the disease and helps coordinate care. The second Rwandan fellow, Dr. Kabakambira, is also on the registry’s steering committee. He got interested in studying noninfectious diseases during his medical training. Dr. Kabakambira says that infectious diseases have traditionally gotten the most focus in Africa, but noninfectious diseases, such as diabetes and heart disease, are becoming more important in the area. He realized that, to address this problem, he needed to learn how to develop a research strategy. 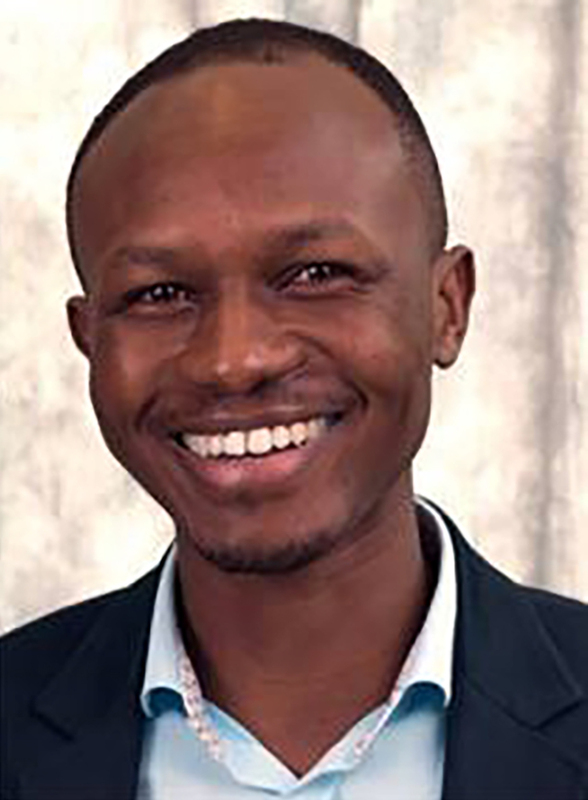 While working as a physician in Rwanda, Dr. Kabakambira learned about the NIH program and thought it would give him the tools he needed. He applied and was selected, beginning his one-year training program at NIH in July 2017. Dr. Kabakambira is studying type 2 diabetes, which occurs when the body does not respond normally to the hormone insulin. One of the risk factors for type 2 diabetes is having a large waistline. Dr. Kabakambira is investigating what range of waistline measurements increases the chance that Rwandans will get either diabetes or heart disease. He hopes that clinicians in Rwanda, or clinicians working with Rwandan immigrants in other countries, can use this information to catch diabetes early. By measuring waistlines, clinicians may also be able to help people who don’t have diabetes yet but are at risk of developing it. To determine how waistline increases Rwandans’ risk of diabetes, Dr. Kabakambira measured the waistlines of 375 African immigrants living in the Washington, D.C., metropolitan area. Each person also had a CT (computed tomography) scan to see how much abdominal fat they had. Previous studies have shown that body fat distribution varies by race/ethnicity and gender, 1,2 but limited data exists for Africans. Each participant also took an oral glucose tolerance test, which is the most accurate way to show whether someone has or may develop diabetes. Dr. Kabakambira says that he was able to find people for the study partly because he went in person to meet Rwandan community members and talked to them about why they should participate in his study. The people looked up to him as an African physician, he says, and he connected with them personally. Education and cultural awareness are key in recruiting participants and encouraging follow-up. When Dr. Kabakambira visited the Rwandan and other African immigrant communities, he also talked about how people can reduce their chances of getting diabetes. “It just takes education,” Dr. Kabakambira says. This includes education on the importance of screening. In Rwanda, he says, “Screening is not the culture. People usually consult a doctor when acutely sick, yet most [noninfectious] diseases can go unnoticed until late complications develop.” Screening is more cost-effective than treatment. By catching unhealthy behaviors or disease early, clinicians can address the issue and prevent future problems. For example, clinicians can help people modify their diets and increase physical activity. Since Africans generally have a greater genetic risk for diabetes, Dr. Kabakambira stresses the importance of avoiding the risk factors they can control, such as a sedentary lifestyle and high-sugar diet. Since Dr. Kabakambira returned to Rwanda this summer, he is continuing his work with Dr. Utumatwishima to build awareness of diabetes in the country. Only 12 African countries currently have a diabetes registry; other nations, like Rwanda, are still in the process of developing one. Dr. Kabakambira believes that he can use this data from Africans living in the U.S. and in Africa to figure out the waistline threshold in this population that carries the highest risk. Dr. Kabakambira’s activities during the fellowship included several speaking engagements, one at the Eastern Virginia Medical School (EVMS) in April 2018. He talked about Rwanda’s health care system and the country’s success in achieving universal access to health care. He says that Rwanda offers hope; it dispels the myth that universal health coverage is not possible for countries with limited resources and could be a model for other countries. He also shared opportunities for collaboration. “Some medical students have already manifested their interest, and this might result in an exchange program for medical students between EVMS and Rwanda in the near future,” says Dr. Kabakambira. The third fellow of the NIMHD-NIDDK-Rwandan Health Program, Regine Mugeni, M.D., started her yearlong training this July. The plan is for Dr. Mugeni to work on identifying better blood tests for the early detection and prevention of diabetes in Africans. Carroll, J. F., Chiapa, A. L., Rodriquez, M., Phelps, D. R., Cardarelli, K. M., Vishwanatha, J. K., Bae, S., & Cardarelli, R. (2008). Visceral fat, waist circumference, and BMI: impact of race/ethnicity. Obesity, 16(3), 600–607. Stults-Kolehmainen, M. A., Stanforth, P. R., Bartholomew, J. B., Lu, T., Abolt, C. J., & Sinha, R. (2013). DXA estimates of fat in abdominal, trunk and hip regions varies by ethnicity in men. Nutrition and Diabetes, 18(3), e64.